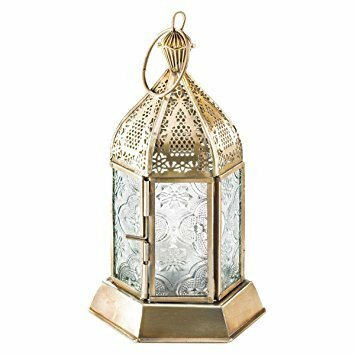 We are Making and Exporting Metal Mini Lantern Hexagon with Brass antique Antique Finish to Put On The Shelf Or To Be Hang. Every sleek detail of this squared mini contemporary candle lantern, creating a striking counterpart for a stately tealight candle. An effortless way to bring style into any surrounding. Brightens the modernized framework of this glass-paneled hurricane lamp, making it the perfect finish for any special setting. Established in the year 2015, at Moradabad (Uttar Pradesh, India), we “The Home Gifts”, are Sole Proprietorship (Individual), based company, engaged in Manufacturing and Exporting a high quality range of Cremation Urns, Going Home Heart, Napkin rings, Candle Holder, Bookends Product, Bowls And Dishes, Photo Frames, Designer Mirror and Brass Products. We have achieved the trusted position in the industry under the direction of “Zaki Pervez (CEO)”. We export our product to the country such as USA, Europe, Australia, Canada, etc.